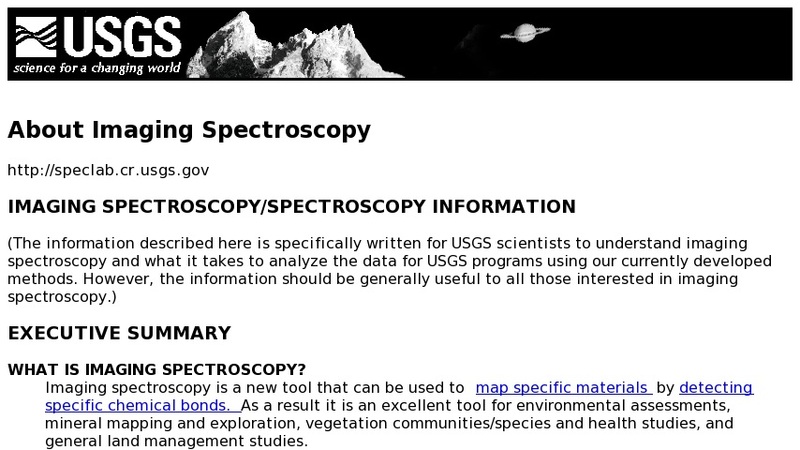 This document from the USGS describes imaging spectroscopy and what it takes to utilize the data. The possibilities as well as the limits of imaging spectroscopy are explored. The site presents basic information as well as costs, calibration techniques, and methods for analyzing and verifying the data. The text includes embedded links.